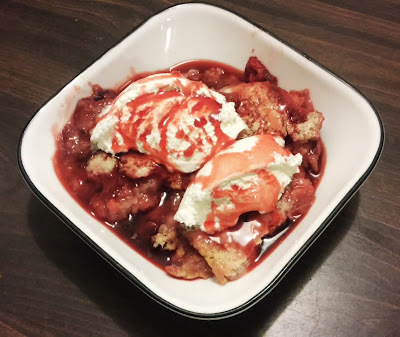 Jared Unzipped: Super Easy Strawberry Cobbler! 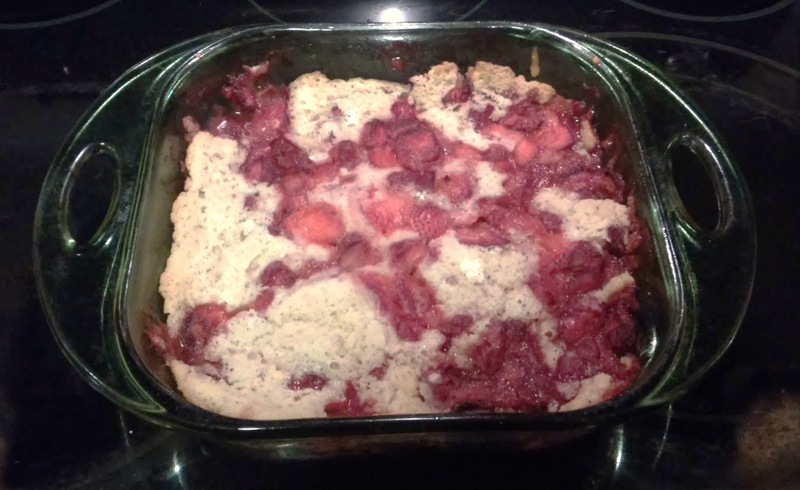 This is perhaps the easiest cobbler recipe I've ever encountered. I made it this evening and it was absolutely DE-LIGHT-FUL! As such, I wanted to share it with you. It's super easy to modify if you're calorie-conscious like I am, too! Here's what you'll need. Put butter in 8 or 9-inch baking dish. Place in oven while pre-heating to allow it to melt. Add milk and continue to whisk until batter is smooth. Pour batter into pan once butter has melted. Scatter the strawberries on top of the batter. Sprinkle the tablespoon of sugar on the strawberries. Place in over and allow to bake until batter is golden brown and the fruit is bubbling. Of course, no cobbler is complete without a bit of whipped cream or vanilla ice cream. Enjoy!